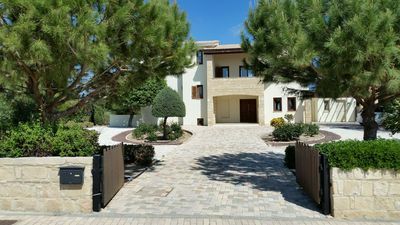 5-room house, detached, for 8 people, 160 m2, comfortable and modern furnishings.Living/dining room with satellite TV, DVD, open fireplace and dining-table. Smoking not allowed. Internet (Wireless LAN [WLAN]).Sleeping room with 1 double bed. Sleeping room with 2 single beds. Sleeping room with 1 double bed. 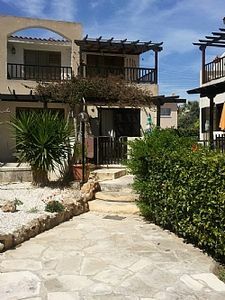 Sleeping room with 2 single beds.Open kitchen with 4 hot plates, micro wave, oven, dining table, dishwasher, fridge and deep freezer.Shower/WC and bath/shower/WC.Terrace furniture, 8 deck chairs.Other equipment: safe, children's high chair, hair dryer, iron, washing machine. Located a mere 30m from the award winning blue flag beach of Coral Bay and just 750m from the centre of the resort, Chronas villa is sure to be a beach lovers paradise. 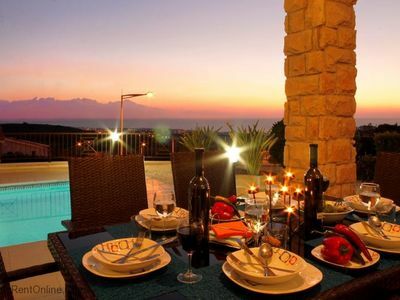 This stunning villa offers everything you need for a quality time holiday with family and friends. Chronas the god of endless time will ensure you have a holiday where lasting memories are made forever. 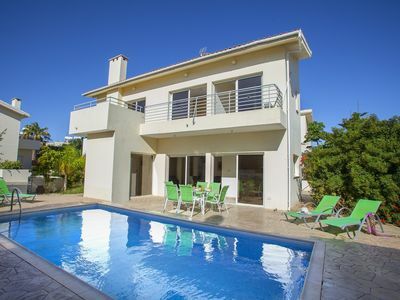 Approached via a gated driveway this 4 bedroom bungalow is located within 30 metres of the steps leading directly to Coral Bay Beach and also located a few minutes’ walk of the local amenities. 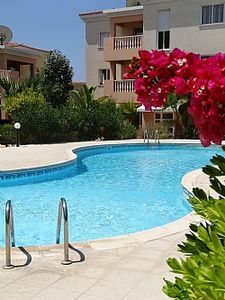 The centre of the Coral Bay resort is located within a 10 minute walk of the villa. 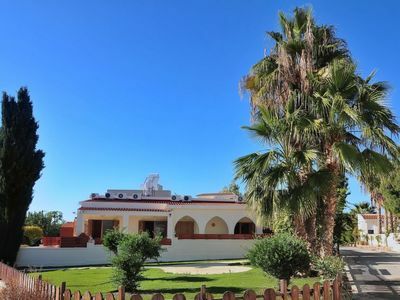 As you enter the villa you will find the open plan living area featuring comfortable sofas, internet TV, DVD and CD player, wireless internet connection and a dining table seating 8. 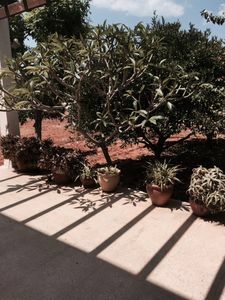 Adjacent to the living area is the fully equipped kitchen with oven, hob, fridge freezer, microwave, dishwasher, coffee machine and washing machine.From the kitchen a hallway leads you to where the bedrooms are located. The master bedroom has an en-suite shower room and the remaining double bedroom and 2 twin bedrooms share the separate bathroom and further separate shower room. The master bedroom, a double bedroom and the twin bedroom have patio doors leading out to the veranda overlooking the pool area.Moving to the outside area you will find the barbecue area and outdoor dining table located under the pergola allowing for you to enjoy al fresco dining. 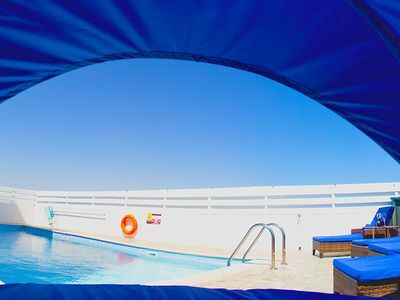 The kidney shaped private swimming pool provides the ideal area for relaxation after enjoying a day on the beach. Small, modern, comfortable bungalow Chronas Villa, built in 2000, renovated in 2016.House Equipment: air conditioning, washing machine (private use).Access & Parking: private parking. All-season motor access to the house. Stepped path with 2 steps. 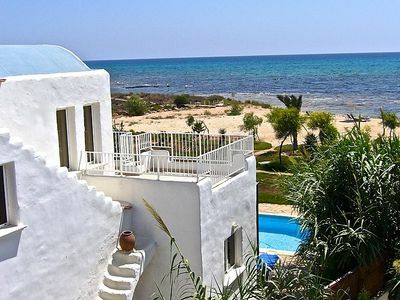 Situation: of Coral Bay, by the sea. 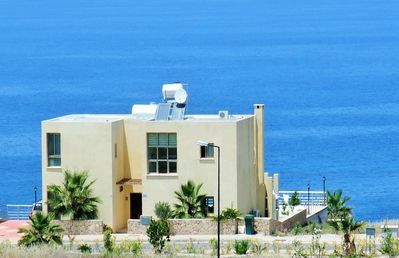 View from the apartment of the sea.Surroundings of the house: swimming pool (private use, length 6 m x width 3 m), outside shower (private use), table tennis (private use), fireplace (private use).Facilities and distances: shop 100 m, supermarket 750 m, restaurant 100 m, sandy beach 30 m. Please note, nearby is a main road in 80 m.
A luxury villa in beautiful gardens with pool.